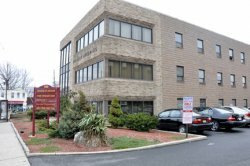 Wellness One of South Bergen was founded in 1981 by Dr. Elliot P. Foster. With over 35 years in practice, he focuses on pure chiropractic and changing communities from the inside out by empowering people with information about living better. His brother, Dr. David Foster, joined him in practice more than 20 years ago. At our Rutherford wellness center, we welcome all ages and have helped newborns to 100-year-olds recover their well-being. Patient care is always paramount at Wellness One of South Bergen. Our team focuses on your individual needs to produce the results that you want. There’s a growing trend in health care today that seeks to find the cause of the problem rather than treating the symptom. Chiropractic care is leading this trend, helping to correct the source of your pain and suffering. For many people, taking the first step toward making a change is the most difficult. Please rest assured that we will do everything we can to make your visits simple for you, with flexible scheduling and detailed explanations of every procedure. We will also verify your insurance coverage and will gladly explain how your benefits work with the care we provide for you. We’ve learned that a well-informed patient responds to care faster and stays well longer. We also hold regular educational events in our office, building a community of like-minded people. Contact us today to find out when our next talk is held!